I hope you are all doing well! I have literally though of nothing else than University, Dissertation and Exams so i decided to take a little break from it all and seek refuge in my blog. I know the posts have been coming in a Little thin lately but i promise you once i finish University the end of May everything will be back to normal. As you may know i took a little trip to London in January (seems forever ago now) partly for business but i couldn't refuse a chance to partake in a little London shopping as you do. I am constantly travelling up to London lately and i absolutely love it there. I took to twitter for your advice about some goodies i should pick up that i can't necessarily get where i live. 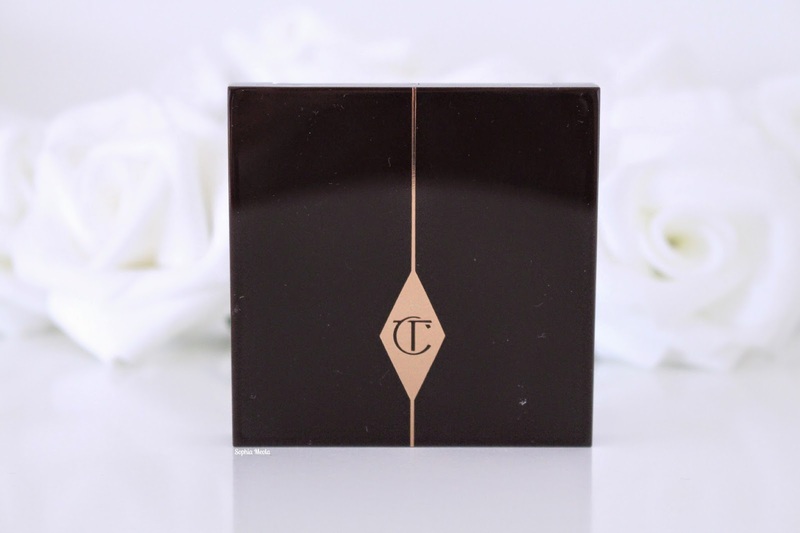 A lot of you mentioned Charlotte Tilbury which is a brand i have been swooning after…everything is absolutely gorgeous and i am a sucker for anything rose gold. 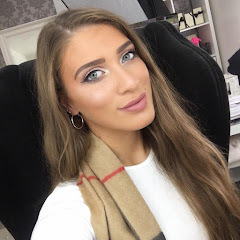 The moment i started watching some of the Charlotte Tilbury makeup videos on youtube with her collaborations with Millie Mackintosh i was literally sold. All of the makeup looks which were created were absolutely stunning. To be honest i had no idea which palette i wanted to get first as i really do want them all in my collection. 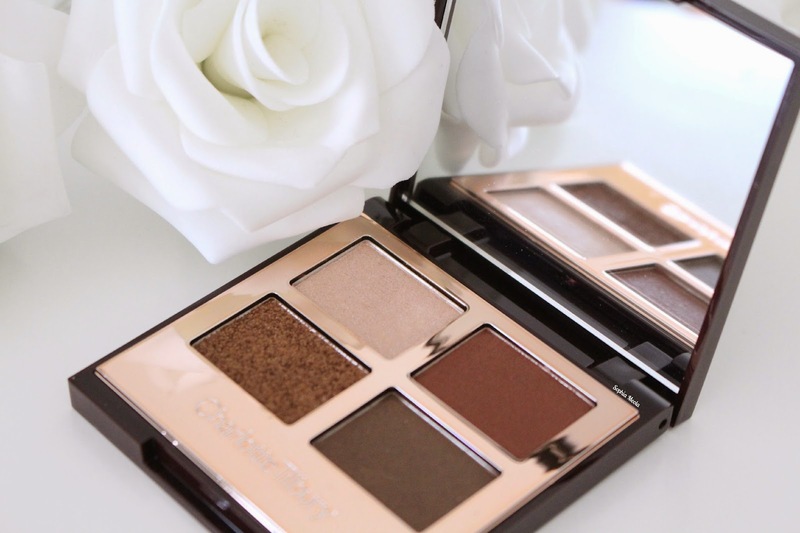 When i saw the makeup range in real life on the counter in Selfridges and laid my eyes on the gorgeous luxury eye palettes i knew it would be the start of a new makeup obsession haha. Charlotte's approach to beauty is all about effortless and easy, taking your from desk to disco in an instance with her wide selection of complementing shades and products. My wish list is ever growing! The Dolce Vita in Italian translates to The Sweet Life which i think it a beautiful name for a palette. 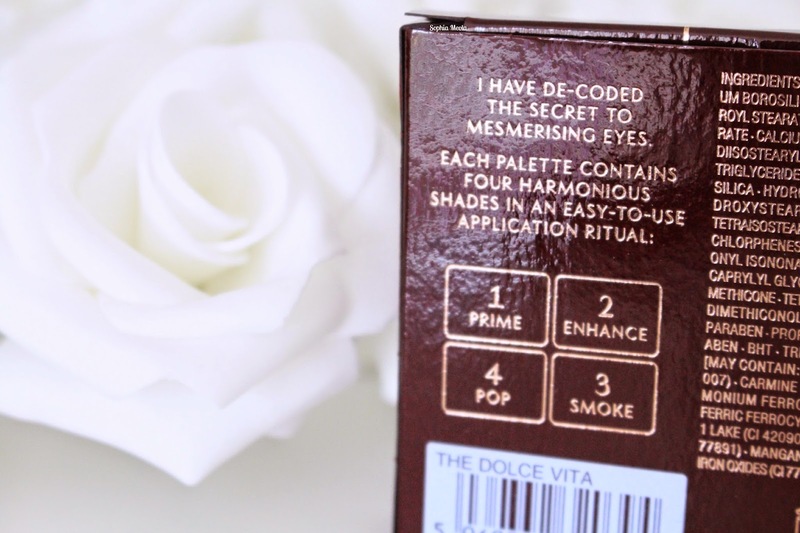 The moment i saw the The Dolce Vita luxury eye palette in store it instantly went at the top of my wish list. The shades within the palette literally screamed my name as neutral and sparkly shades are my go-to and ultimate favourites. All of the colours work incredibly well together and i love how the palette can be used during the day to achieve a subtle look but also i the evenings for a more dramatic look. 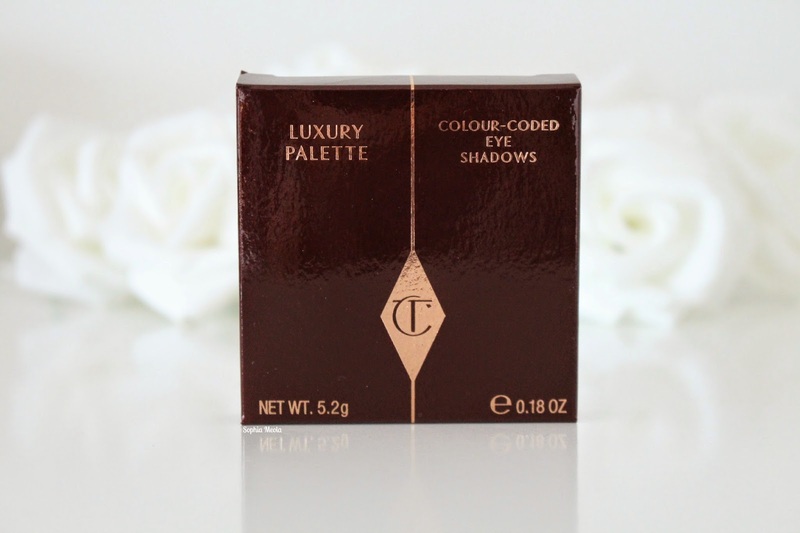 The four eyeshadows within the palette all have a separate role…Prime, Enhance, Pop and Smoke. Each shade has the potential to be worn alone but also paired up to create an array of makeup looks. 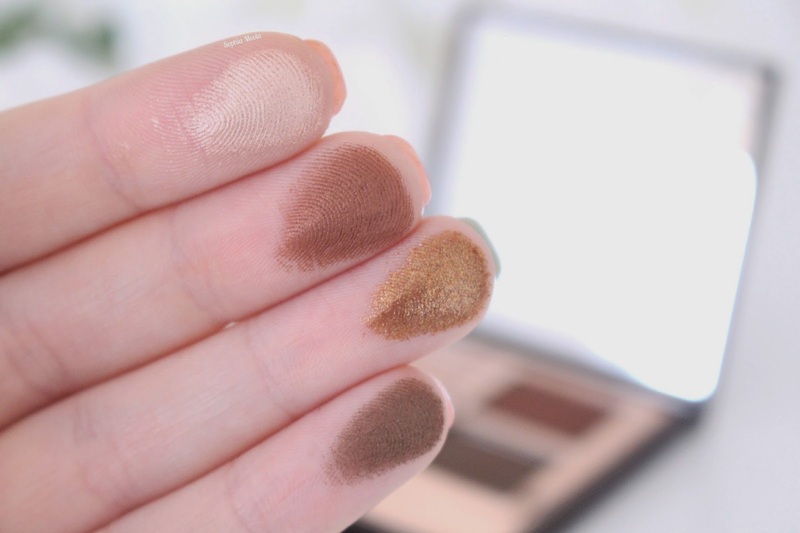 I am in love with all four shades and i feel this is the perfect palette for me. 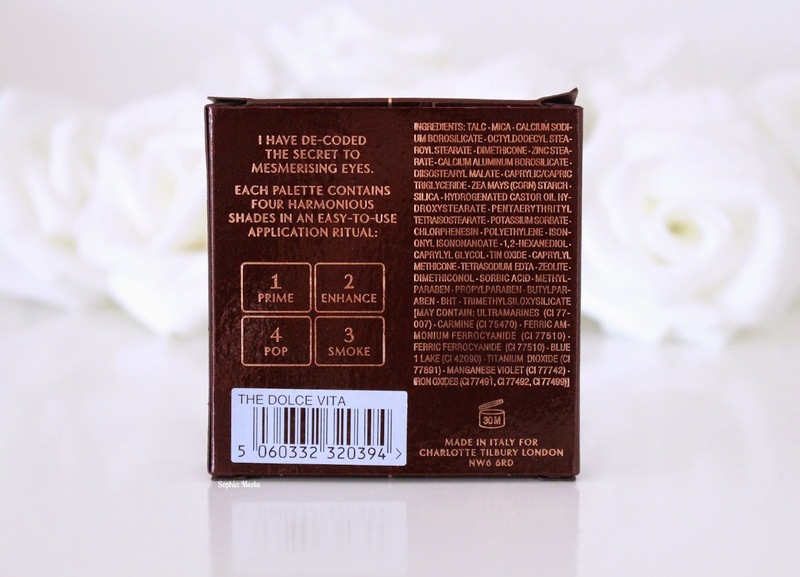 The eyeshadows are buttery soft and apply like a dream with high pigmentation…what more can you ask for?! The prime shade is a brightening satin champagne colour, Enhance is a gorgeous warm satin brown, the Pop shade is a stunning copper packed full of stunning glitter and finally the Smoke shade is a dark brown with a slight satin finish. As you can see from the swatch they are extremely pigmented and have a gorgeous sheen to them. The swatches were a one simple swipe in the palette. I must admit I was a little shocked when i saw the size of the palette at the counter, however, when you work it out the palette come in at 5.2g which is just a little smaller than a MAC quad which comes in at just under 6g and larger than a Chanel quad which comes in at 4.8g. 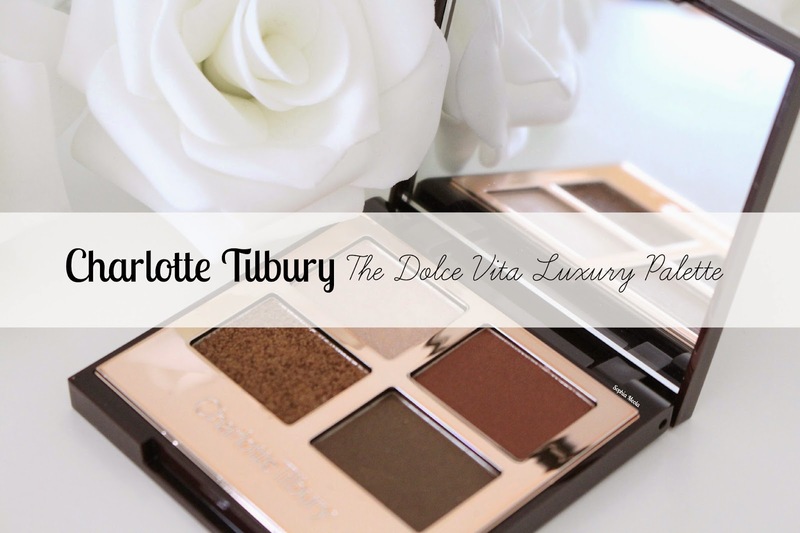 Even though that's the case i am still utterly in love with the palettes and i cannot wait to add some more of the Charlotte Tilbury goodies to my makeup collection. Price wise this gorgeous palette will set you back £38. When i saw the size of the palette and the price my heart did skip a beat but it is totally worth it. Even though they are a little pricey i doubt that will stop me purchasing more for my collection haha…confessions of a shopaholic or what?! I hope you all enjoyed this post! Like always lovelies, if you have any questions, requests or if you just want a chat you can contact me on my social media or leave me a comment below. I love hearing from you all and i make sure to read every single comment…they really make my day! 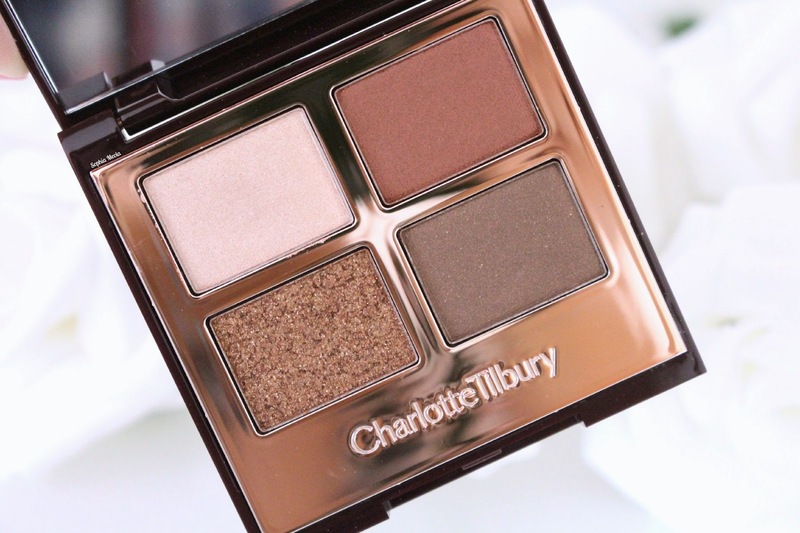 Have you tried anything from the Charlotte Tilbury range? Ah gosh just how pretty are they?! Love a neutral! love neautrals this palette looks gorgeous! The bottom left bronzy shade is to die for!! This just looks like the most dreamiest palette ever, swoon worthy indeed! The colours look SO ridiculously gorgeous! Such a flawless palette! I plan to eventually get one of these beauties, this one is just a great staple quad of colors!